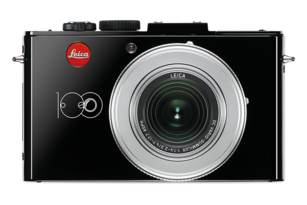 100 years of Leica, 100 years of history: The Hindenburg conquers the skies, the Russians conquer Berlin, and James Dean conquers the hearts of women. Always on the spot at such decisive moments were photographers who had an eye for the visual impact of the scene – and a Leica in their hands. We present their photos to you in the exhibition ’36 Iconic Photos’ at the Leitz Park in Wetzlar. 36 iconic images that are today renowned around the world. 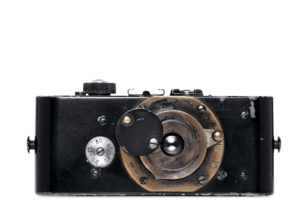 From around the time of 1914, Oskar Barnack must have carried a prototype camera with him, particularly during his travels – the camera first received the name Leica in 1925. Perhaps his most famous sequence of images, because it has been shown continually since, is the striking series of the floods in Wetzlar, Germany, in 1920. The “Self-portrait in Mirrors” is one of the most well-known photos by photographer Ilse Bing. It is considered a symbol of modern times, technical open-mindedness and photographic avant-garde. Oskar Barnack was – long before Leica – an enthusiastic photographer. His photographic activities are documented from various reportage angles, whereby the heavy plate camera was most likely the personal reason behind his work on a faster, more convenient process. The zeppelin photos by Dr Paul Wolff and Alfred Tritschler continue to fascinate on-lookers even today. They unite a utopian aeronautic dream, technical innovation and a novel camera system that provide a new perspective and look at the world in a similar way. A self-portrait with Leica was printed on UMBO’s business cards and is today one of his most well-known images. A late piece of assertive avant-garde. This most well-known photo by the photographer Marc Riboud has long been of great significance in iconic Parisian photography. Marc Riboud’s photo is documentary photography at its finest – en passant captured. 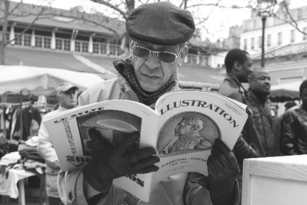 Louis Stettner is a never-tiring spirit who continues to paint, draw and photograph even today. His photos are more inclined to focus on the scene’s atmosphere than its story. For this reason, they are found to be deep, honest and full of surprise. In the 1950s, Times Square was a magical place for young actors. James Dean is wearing a dark coat, naturally due to the weather. But the way in which he “hides” inside it has been viewed as an indication of his vulnerability. Bruce Davidson accompanied a travelling circus for several weeks. The photo story he took revolves around “Little Man” Jimmy Armstrong and his tragic-comic role. Bruce Davidson’s raw and atmospheric style, using the available light, perfectly captures in a formal, aesthetic way the huge cloud of melancholy hanging over Jimmy’s story. Whether as a postcard, poster, sticker or T-shirt – Alberto Korda’s photo has captivated the world and become a symbol for an entire identity and its creation. The simplicity, with an impression of Christian iconography, ensures this image remains in the memory of every viewer. Actually, Ulrich Mack travelled to Africa to discover the continent as a reporter – a continent that had been battered by warmongers and massacres. But all this changed: as if in a state of ecstasy, Ulrich Mack photographed a herd of wild horses, virtually throwing himself down under the animals. Thomas Hoepker’s portrait of the boxer Muhammad Ali is yet another famous picture that has gone around the world. This photo was taken in autumn 1966 at a boxing gym in London. Fred Herzog is one of the pioneers of freestyle, artistic colour photography. Perhaps pictures need the astonishment and curiosity of an immigrant, Fred Herzog, to document in colour that which is self-evident to the residents of Vancouver and not necessarily worthy of a photo. This photo of the small Kim Phúc Phan Ti raised doubt about the war, particularly in the USA – a war which was increasingly affecting the civilian population. The image visualises fright and suffering, without becoming ugly. And it transports a dramatic scene, without it being constructed in a complex way. San Cristobál shows a swimming pool for horses. René Burri avoided anything that could be considered anecdotal as much as possible, in favour of a delicate, coloured composition in which a horse and its caregiver rather take on the character of a footnote. Martine Franck’s photo of a swimming pool unites coincidence, a keen eye and the fast shutter speed of the Leica M. She never sought out images like these, she found them. They are one-off photos which would hardly ever have been possible without her curiosity and watchful eye. Harry Gruyaert is considered a pioneer in documentary, fascinating colour photography in Europe. His pictures are well and carefully constructed, with a rigid composition – literally taken to the extreme. Gianni Berengo Gardin’s images are considered classics of Leica photography. Taken in black and white, they are quickly captured windows on everyday life, visual chamber plays of grand formal, aesthetic finesse, at times complex and at other times delicately harmonious. Herlinde Koelbl’s main subject is the human being, its body and face, whereby she likes to overcome the traditional lines between people. Her portrait of Munich’s “fine society” is nothing less than a photo reportage or documentary. Alex Webb’s interest focuses on stark colours, which form the background for his rather bizarre, absurd and peculiar stories. In 2000, he was awarded the Leica Medal of Excellence. “Perfect Peace” was Kai Wiedenhöfer’s first book, in which this photo appears. It was taken in June 1994 at the beach in Gaza and shows the flipside of war: a future in which perfect peace is possible. Jeff Mermelstein bases his images on natural light and colour as a means of expression. He himself remains in the background, observes the goings-on from a distance and records them – which doesn’t rule out the fact that the protagonists notice him now and again. “American Color” is perhaps Constantine Manos’s best work to date. Strong, powerful colours, bold perspectives, a precise glimpse and a feeling for bizarre moments characterise his photos.